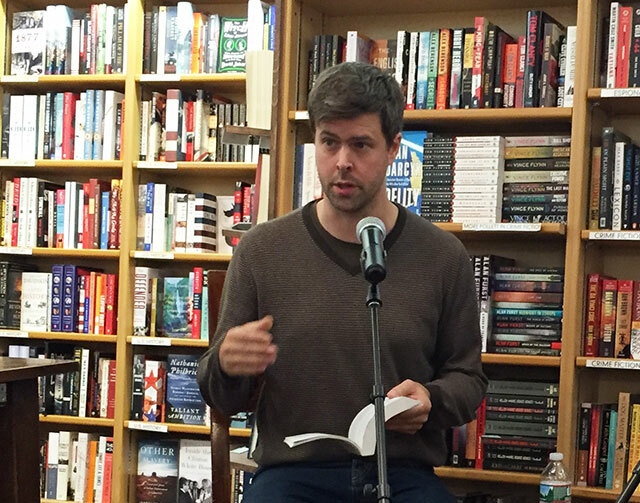 David Szalay was read from his novel All That Man Is, a narrative that spans the perspectives of nine men over the course of nine months. 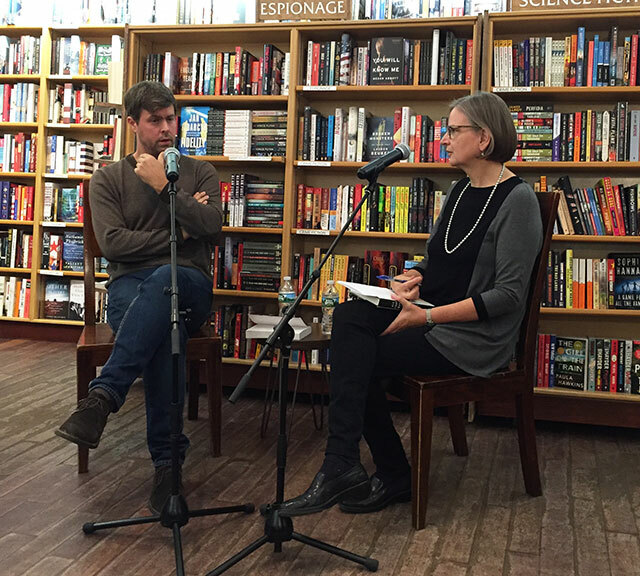 He discussed the novel with Fiona McCrae, publisher at Graywolf Press. The novel has been shortlisted for the Man Booker Prize. Szalay humbly explains the shortlist placement alone is a kind of validation even for a seasoned novelist. “When you write a book, you never know how it’s going to go,” he says. When it goes well, there is a sense of relief. When he set out to write the book, he knew he wanted to write about mortality and the onward march of time. McCrae describes much of the novel as taking place in “second tier” Europe. Szalay explains that for quite a while he has been living in a very obscure, small place in Hungary. It’s a place that is very much removed from places like London, where he grew up, or a city like New York. Writing about these off-the-beaten-path places was fascinating to him, in part because of the challenge posed to a writer of making a banal place interesting. Most people don’t end up living exactly where they want to live, but you also can’t spend your whole life dreaming about a place you want to live. You have to make peace with where you are. Many of the characters in the novel are making that peace. The novel’s structure is impossible to ignore. It shifts from character to character, and some reviewers have questioned whether it should be considered a novel. It did start out life as a short story of about fifteen thousand words. It was a private commission, as Szalay describes. He then thought it would be great to write more similar length stories. The idea of traveling and experiencing different countries of Europe, as many of the characters end up doing, came naturally. He also wanted the individual narratives to operate in a specific way together as one, cohesive piece. There are strong central characters who are women but the protagonists were always men in the novel. It was a conscious decision to focus on men in an effort to create a single composite of a man. The characters evolve in the novel from younger than Szalay through middle age, where he sees himself now, and into old age. The first character is the grandson of the last, a cycle Szalay hopes is evident. The novel does not have an optimistic sense to it, he says, because it really is about confronting his mortality. Life experience always seeps into your characters, but obviously for the younger ones he has more to draw on. Having multiple characters is one way he hopes to capture the universality of experience and against the idea of the individual experience. He also wanted to write a European novel, an experience that transcended borders. The original title was Europa. He jokes that to an American audience he might seem extremely British, but in reality he is Canadian and Hungarian. He had for a long time identified as British but in recent years he moved from London to remote Hungary and feels much less of an identity. Brexit though, still is a rip in his identity.